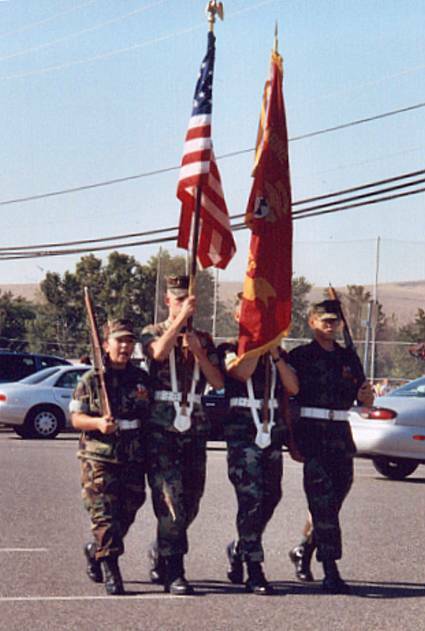 Color Guard Judging - Verduzco, Williams, Brim and Bowman. 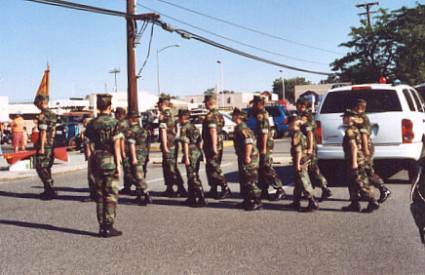 At attention before the parade. 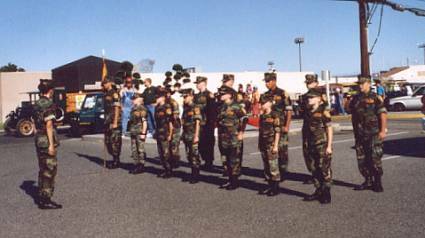 Marching drills in preparation for parade and judging. 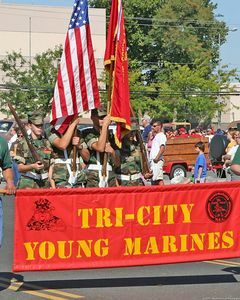 Awesome Banner and Color Guard. 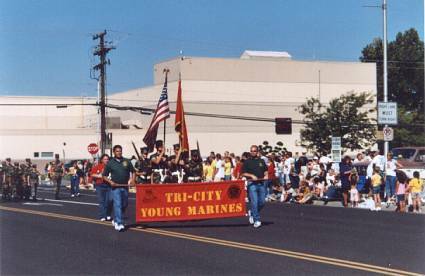 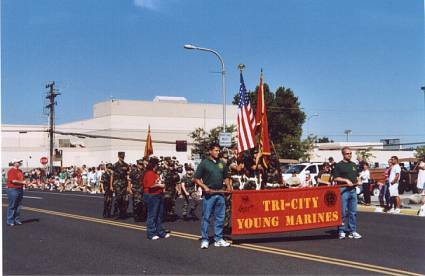 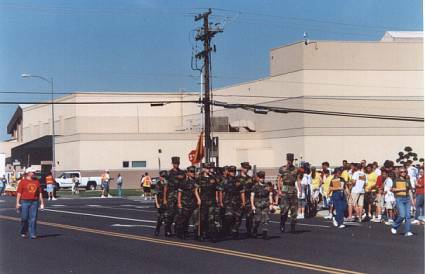 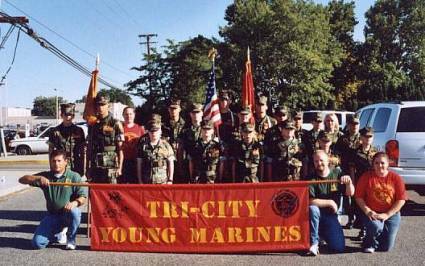 Main Platoon of Tri-City Young Marines. 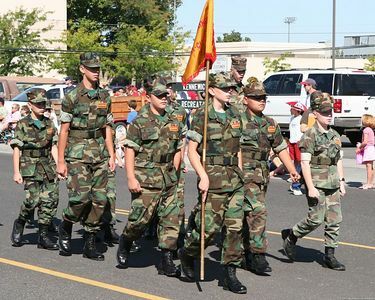 A beautiful day for a march, here's our whole Unit.